According to reports out of Korea, Samsung will begin supplying “A12” SoCs to Apple in 2018. Samsung was a chip supplier to Apple up until 2013 when chip foundry Taiwan Semiconductor Manufacturing Co. (TSMC) rustled away the business. An industry source says that Samsung has recently acquired extreme ultra violet lithography machines capable of producing seven-nanometer mobile processors exclusively for the iPhone. The source says that the deal was pushed through with Apple executives by Samsung leveraging its hold on the OLED market. Cupertino has reportedly inked a two-year deal with the Korean manufacturer to supply it with OLED screens for the iPhone. The insinuation here is that Samsung used its OLED relationship with Apple to steal back its chip making business from TSMC. However, final approval from Apple for the chip production has not yet been given. The Taiwan foundry is not out of the running. In fact, TSMC has been improving its 7-nanometer process and appears to be ramping up production for 2018. DigiTimes reported that the foundry recently added Applied Materials, Lam Research, Tokyo Electron, Hitachi High Technologies and Advanced Micro-Fabrication Equipment to its supply chain. "[TSMC is] planning to begin producing silicon with the 7-nanometer FinFET process in significant quantities by early next year." This does not sound like the actions of a company that is about to lose millions to an exclusive deal between Apple and Samsung. It looks more like Cupertino is shopping around for the next iPhone processor and Samsung and TSMC are the top runners. Other players vying for the company's business are Qualcomm, Nvidia, and Xilinx. However, with the recent tensions between Apple and Qualcomm, a deal between the two is not likely to happen. Regardless of who ends up making the A12 chip, it is certain to be the next evolution in die size. 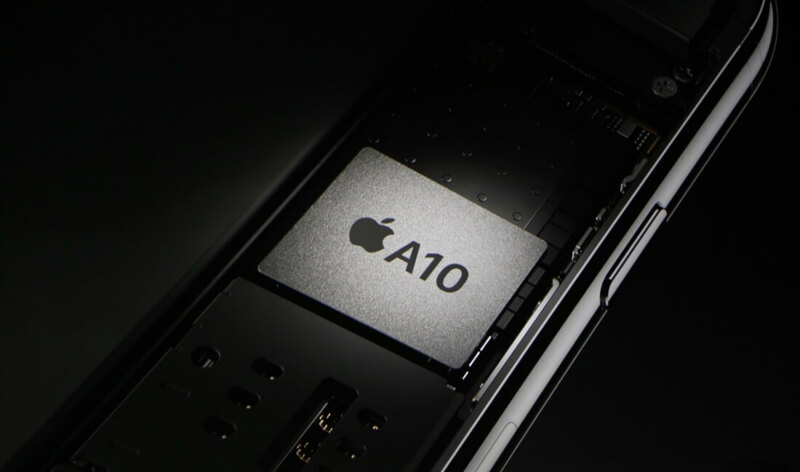 The A10 Fusion in the iPhone 7 uses a 16-nanometer FinFET process. The A11, coming in the iPhone 8 is expected to use a 10-nanometer process. Since it is widely reported that both Samsung and TSMC have a 7-nanometer process in the works, it's entirely feasible we’ll be seeing them in future phones.